Mad Duck Posters has Timothy Pittides’s latest poster up in their shop. 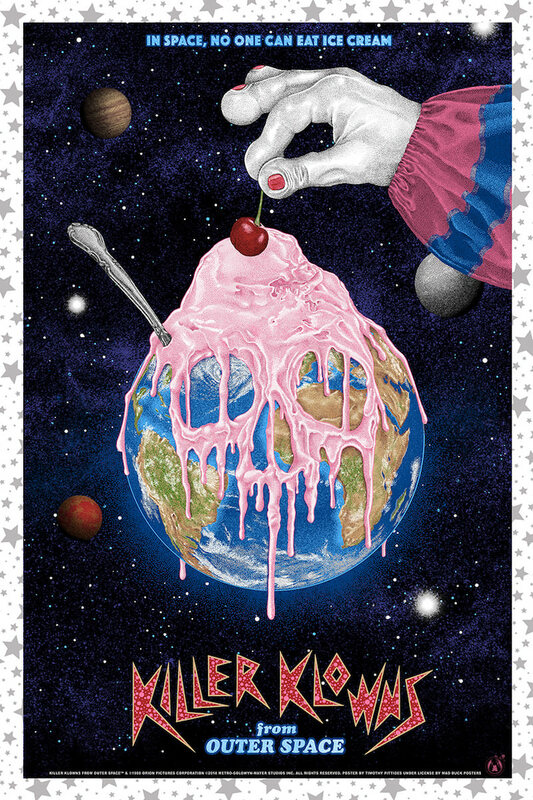 Killer Klowns From Outer Space is a 24″ x 36″ screenprint, has an edition of 125, and costs $65. Visit MadDuckPosters.com.